If you or a loved one has been the victim of police brutality or excessive force, you may be able to bring a legal action against those responsible. These Constitutional Rights cases allow you to bring a claim against a governmental entity for a violation of your constitutional rights under 42 USC §1983. But §1983 is merely a gateway by which to bring your claim. You must identify the constitutional right you believe has been violated, and then allege a violation of that right using §1983 as a basis for the suit. In most police misconduct cases, the constitutional right which has been violated is the United States Constitution’s Fourth Amendment ban on illegal seizures. There may be a number of complicated steps in your police misconduct case. In many instances, the police are entitled to governmental immunity for their actions. Additionally, you will be required to prove that the police officer or agency acted outside the scope of his or her authority, or that they took actions which were unjustified under the circumstances. Police misconduct cases can be complicated, but the attorneys of the Sinas Dramis Law Firm have the knowledge and experience to help. Contact our law firm to discuss your case. We will protect your rights and help you obtain the compensation you deserve. Understanding your rights and when you might have a valid claim is the first step. 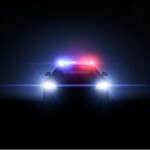 In this section, we help you know the law on excessive force and police brutality.